Humanity’s scheduling software allow employees to set their own availability and manage their own schedule. Giving power of self scheduling help boost staff morale and it has been proved for many organizations. In order to schedule themselves avoiding any schedule conflicts, it is important for the staff to know vacation schedule of their co-workers. If staff have visibility into their co-workers vacation schedule they can, easily set their availability, pick up shifts for their co-workers or apply for leave without compromising productivity and without any conflict. 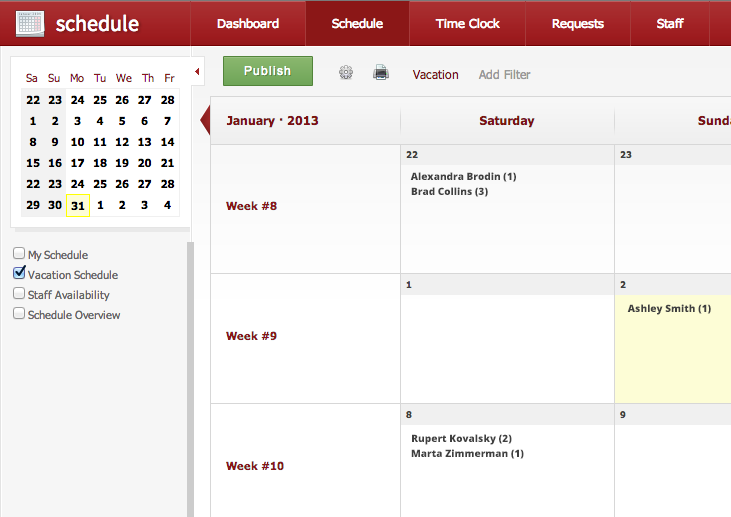 Humanity team worked hard on this feature and now it is available in our online scheduler software. How can you use/enable this feature? 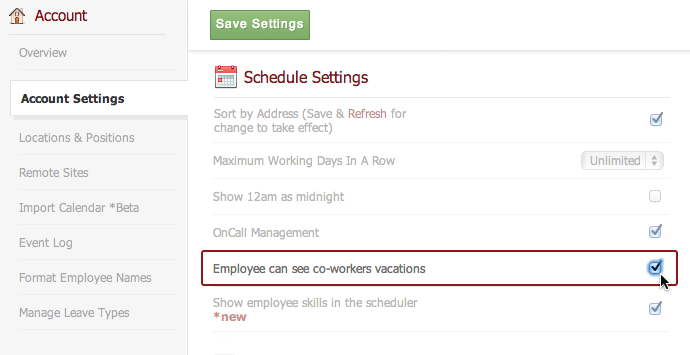 Check the box next to “Employee can see co-workers vacations” to enable this feature. From organization point of view, this will totally remove leave management conflicts and sufficient staff availability will be maintained to run your business smoothly.